How high was your initial score? Historically, students who earn a lower score (say 1550) on their first attempt are more likely to increase their results than students who broke 2000. Indeed, the more room for improvement you have, the greater the possibility your score will rise. It is far more difficult (though certainly not impossible) to close the gap with those final few hundred points. Is your score an accurate reflection of your skills and abilities? Hopefully, you sat for the PSAT or the PLAN exam and penciled in some time for a few practice tests. How do your actual results compare to those of your practice tests? If you routinely hit 2100 (or 33) only to earn a 1750 (or 29) then it might behoove you to sit for the exam again. If your score mirrors your earlier attempts, the likelihood that you’ll dramatically increase your score isn’t great. How do your results compare to the average scores of your target schools? 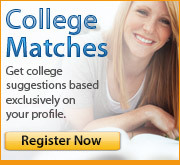 Conduct a little research and find out the median scores for the colleges in which you’re interested. If your results are in line with (or better yet surpass) the mean, you probably don’t need to retake the test. However, if your scores fall short you should think about registering again. Be honest – how much prep time did you log? Did you curl up nightly with a test prep book? Did you organize weekly study sessions with your friends? Or did you think a simple glance at a practice test the day before the exam would suffice? If you were busy experimenting with slacking off, you might want to consider taking the exam a second time (assuming you’ll put some more effort into studying). However, if you were incredibly diligent with your preparation you might want to hold off. Unless you’re truly unhappy with your score, perhaps it’s best to focus your energy on academics and extracurricular activities. Be proud in knowing that you worked hard and gave it your best shot. Will the next time be different? We realize that you most likely cannot predict the future. However, you can assess what both your mental state and the general testing environment were like. Did you let the pressure or anxiety affect you? Was your pacing off? Were you fighting a cold? Was the room free from distraction? If you have reason to believe you were off your game, it might make sense to register for round two. The bottom line is that there’s no definitive right or wrong answer to this question. While there might be a few concrete facts or arguments to consider, it also comes down to personal feelings. If you’re disappointed with your results and are confident that you can knock it out of the park on a retake, great! Conversely, if your hands start getting clammy thinking about walking into the test again, you might want to put this chapter to bed. Colleges won’t penalize you for taking the test more than once. They also understand that you’re more than your standardized test scores (really, they do). And while the SATs/ACTs certainly factor into admissions decisions, they are far from the only factor.